R.I. Gen Laws § 9-26-4.1 - $300,000 occupied or intended to be occupied as primary residence. R.I. Gen Laws § 7-8-25 - Consumer cooperative association holdings up to $50. R.I. Gen Laws § 9-26-4 - All motor vehicles up to $12,000 total; clothing needed; furniture, beds and bedding, household goods and supplies up to $9,600 total (spouses may not double); jewelry up to $2,000 total; books up to $300 total; burial plot; debt owed to you which is secured by a promissory note or bill of exchange; and prepaid tuition accounts. R.I. Gen Laws § 9-26-4 - Earned but unpaid wages up to $50; wages of spouse; earned but unpaid wages of a seaman; wages exempt for 1 year after getting off relief if you have received welfare prior to filing for bankruptcy; wages paid by a charitable organization; earnings of a minor child. R.I. Gen Laws § 30-7-9 - Earned but unpaid wages of a military member on active duty. 11 U.S.C. § 522(b)(3)(C)(n) - IRAS and Roth IRAs to $1,171,150. R.I. Gen Laws § 9-26-4 - ERISA-qualified benefits; IRAs and Roth IRAs. R.I. Gen Laws § 9-26-5 - Police officers and firefighters. R.I. Gen Laws § 28-17-4	- Private employees. R.I. Gen Laws § 36-10-34 - State and municipal employees. R.I. Gen Laws § 12-25.1-3 - Crime victim's compensation. R.I. Gen Laws § 28-33-27 - Workers' compensation. R.I. Gen Laws § 28-41-32 - State disability benefits. R.I. Gen Laws § 28-44-58 - Unemployment compensation. R.I. Gen Laws § 30-7-9 - Veterans' disability or survivor benefits. R.I. Gen Laws § 40-6-14 - General assistance; aid to blind, aged, and disabled. 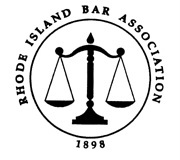 R.I. Gen Laws § 9-26-4 - Working tools up to $1,500; library of a professional in practice. R.I. Gen Laws § 27-4-12	- Life insurance proceeds if policy prohibits use to pay creditors. R.I. Gen Laws § 27-18-24 - Accident or illness proceeds, benefits, dividends, interest, loan, cash, or surrender value. R.I. Gen Laws § 27-25-18 - Fraternal benefit society benefits. R.I. Gen Laws § 28-41-32 - Temporary disability insurance. R.I. Gen Laws § 7-12-36	- Business partnership property. R.I. Gen Laws § 9-26-4 - $5,000.